Crows are omnivores. They eat nearly anything. 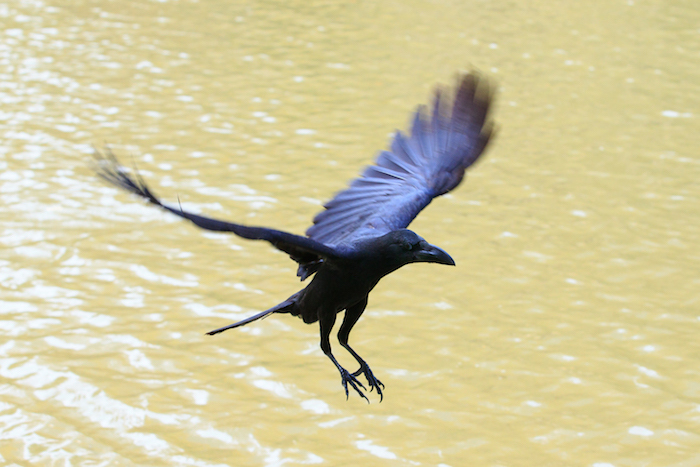 Crows eat small animals such as mammals, amphibians, reptiles, eggs and carrion. They also eat insects, seeds, grains, nuts, fruit, non-insect arthropods, mollusks, worms and even other birds. The common crow usually lives for about seven years. However some have lived as long as 14 years in the wild. Crows have the biggest brain to body ratio among all bird species. 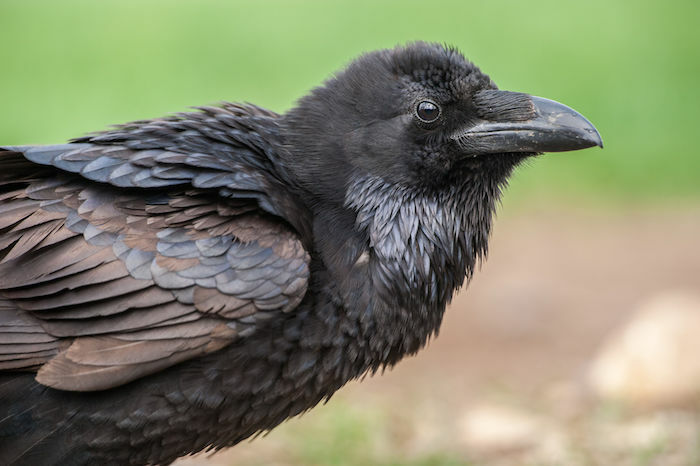 Evolved with a highly developed forebrain where intelligence is regulated, the anatomy of the crow brain is similar to humans. A study conducted in 2004 revealed that crows are more clever than Bonobo monkeys. This fact makes them the most intelligent creatures after humans. Most Crow species have single mate for their entire life and after hatching the eggs, both male and female take turn to incubate them. On an average, they lay about 4-7 eggs. Crows can skillfully construct tools. Making tools was previously only known to be performed among humans and apes. There are about 45 species of crow worldwide known by a variety of names, including treepies, corbies, nutcrackers, bushpies, choughs, and the pica pica. Crows are considered songbirds and posses a deep repertoire of melodies. Some crows have even been taught to recite opera. Crows have an excellent memory. They’re masters at stashing food in many caches, moving it sometimes two or three times, and remembering exactly where they placed it. Crows have a very complex form of language. Their distinctive ‘cawing’ has different meanings at different times. They have also been known to mimic sounds of other animals and can associate different commotions to different events. In parts of the world crows are actually eaten by humans. Crow meat is edible and is found in some selected restaurants in the Western part of globe. In fact, crow meat is considered healthier than pork, because it has been found to contain fewer toxins.